(JUNE 26, 2018) — Men need tough role models—other men who are bold, fearless and champions of the good. We need these types of mentors because, left to our own devices, we become complacent, lazy and stagnant—whether we’re a young man, middle aged, or nearing the end of our life’s journey. The Bible affirms this wisdom: “Iron sharpens iron, and one man sharpens another” (Proverbs 27:17). 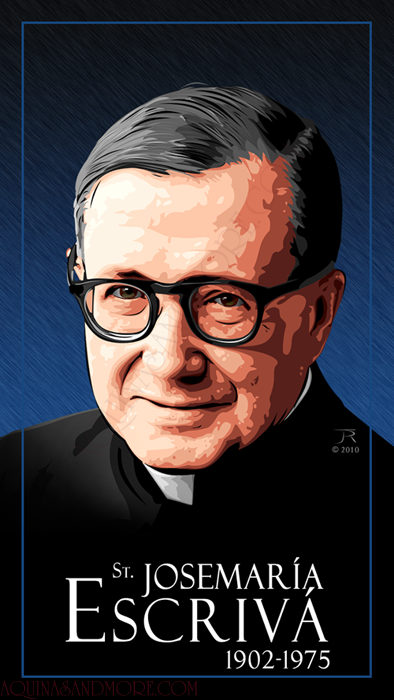 The great Spanish saint, Josemaría Escrivá, had a knack for practical insights into the human heart—especially those of men and boys. He drew inspiration from his father’s work as a merchant and partner in a textile company. 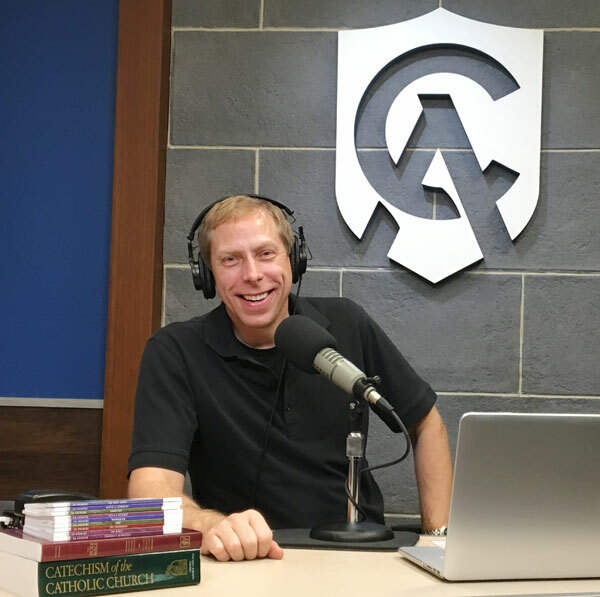 When he was a young 26-year-old priest, he went on a prayerful retreat where he discerned more precisely God’s will for his life. He founded Opus Dei (Work of God), a way by which men and women might learn to sanctify themselves by their secular work. No matter your station in life—student, teacher, bus driver, scientist or politician—the Lord is calling us to serve Him where we are. Like the old saying goes, “Bloom where you’re planted.” Our call to holiness is the same. We can’t wait to begin a life in holiness until we’re older, richer or wiser because God needs us to shine right now—for ourselves and for those he surrounds us with. 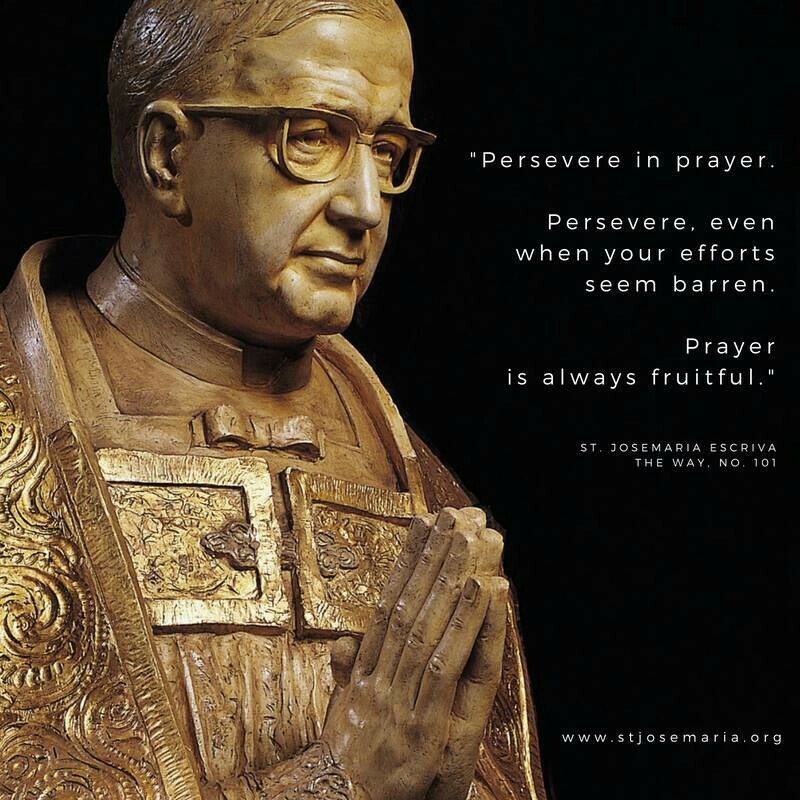 Saint Josemaría Escrivá’s feast day is today. He looked at life and holiness in very simple terms, which make his advice incredibly practical for every man, woman and child. “Either we learn to find the Lord in the ordinary everyday life or else we shall never find him,” he said, echoing the “bloom where you’re planted” adage. Escrivá also taught about joy. He rallied everyone around him to become a saint—to be holy, to strive for holiness, to model Christ. He encouraged people to embrace the sacraments and to love the Mass. He believed that sanctity is a decision aided by God’s abundant grace and mercy. Just like love is not so much a feeling, but a choice, so is holiness. It’s available to everyone, and there’s no better time to start living that life than now. I can think of no better way to step into summer than to make a firm decision to become a saint. Choose to pray always, attend Mass as often as you can, go to Confession regularly, and to love passionately and joyfully, and to want heaven for everyone.